Our Jungle Explorers themed parties are a fantastic way to engage children’s imaginations in a birthday party to remember! All of our sports and multi-activities will be set in the Jungle Explorers party theme, with fun and interactive games for children from 18 months through to 13 years. We encourage our birthday children to go all out and invite their friends in fancy dress to really set the scene. Digital invitations (can be printed at home) with a Jungle Explorers theme and your child's photograph. 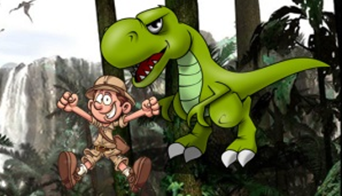 What is a Jungle Explorers Party? Adventurers be ready! Who knows what you will find at a S4K Jungle Explorers Party! Young explorers, can you move like your favourite animals to beat our obstacles to uncover the hidden, ancient mysteries of the jungle? Experienced discoverers, are you brave enough to take on the challenges that come in the shape of animal tag and temple run? As always our parties are full of fun and active games and activities to give every child the most memorable time.